This article compares the growth trajectories of Catholicism and Protestantism in modern China and tackles a puzzle: Why did Catholicism, which maintained a substantial numerical advantage in Chinese converts over Protestantism before 1949, come to lag so far behind Protestantism today? The article identifies three crucial differences in the institutional features of Catholicism and Protestantism, but shows that an institutional argument alone is insufficient to explain their reversal of fortune. It argues that the growth trajectories of Catholicism and Protestantism changed less because their institutional features have experienced major changes, but more because their institutional features played out differently in the sociopolitical contexts of pre-1949 China, Maoist China, and post-Mao China. The article advances a new approach that combines the currently dominant institutional argument with a historical perspective that stresses the importance of political forces in order to understand the growth dynamics of religions. It concludes by making some preliminary observations on the generalized patterns of how institutional features of Catholicism and Protestantism play out under different kinds of political structures, shaping their waxing and waning in a global context. I am grateful to Cole Carnesecca, Andy Junker, and particularly Dingxin Zhao for their constructive comments on earlier drafts of this article. This article also benefited from the helpful feedback of Flemming Christiansen, Tao Liu, Tam Ngo, Peter van de Veer, Fei Yan, Ji Li, and other participants as the paper was presented at the annual meeting of the Social Science History Association, the sociological colloquium of Zhejiang University, the research forum of the Institute of East Asian Studies of University of Duisburg-Essen, the Religious Diversity Colloquium of the Max Planck Institute, and the historical sociology workshop of Tsinghua University. 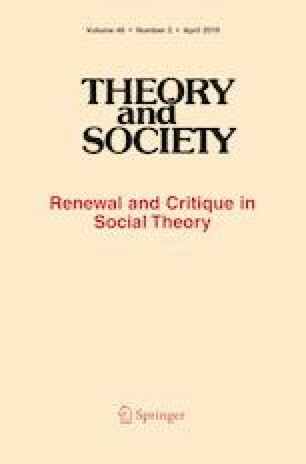 My thanks also go to the reviewers and the Editors of Theory and Society, whose critiques and guidance have helped me to improve this article significantly. I owe special thanks to Alice Ye and Guozhong Li, who offered the much-needed help in finding access to field sites. Holy Spirit Study Center (2002). Estimated statistics for Chinese Catholics 2002. (http://www.hsstudyc.org.hk/en/china/en_cinfo_china_stat02.html). Accessed date 11 May 2017. Holy Spirit Study Center (2015). Estimated Statistics for Chinese Catholics 2015. (http://www.hsstudyc.org.hk/en/china/en_cinfo_china_stat15.html). Accessed date 11 May 2017. Pew Research Center (2011). Appendix C: Methodology for China. Pew Research Center’s Religion & Public Life Project (http://www.pewforum.org/files/2011/12/ChristianityAppendixC.pdf). Accessed date 11 May 2017. Scammell, R. (2016). Pope Francis praises China in latest effort to thaw chilly relations. National Catholic Reporter, February 3. (https://www.ncronline.org/news/vatican/pope-francis-praises-china-latest-effort-thaw-chilly-relations). Accessed date 11 May 2017. Shanghai Municipal Government (2016). Minzu, zongjiao (Ethnicity and Religion). (http://www.shanghai.gov.cn/nw2/nw2314/nw24651/nw39559/nw39565/u21aw1127184.html). Accessed date 11 May 2017. Sherwood, H. (2018). “Vatican signs historic Deal with China—But critics denounce sellout.” The Guardian, September 22. (https://www.theguardian.com/world/2018/sep/22/vatican-pope-francis-agreement-with-china-nominating-bishops). Accessed date 10 December 2018.